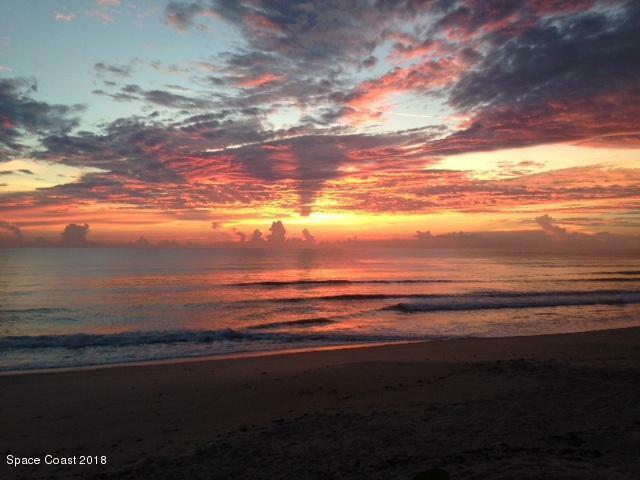 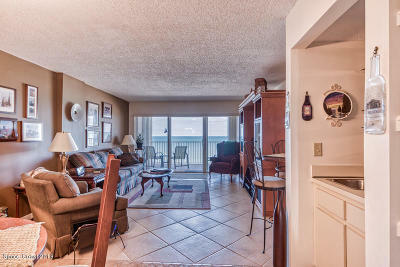 DIRECT OCEANFRONT LIVING IN THE HEART OF INDIALANTIC! 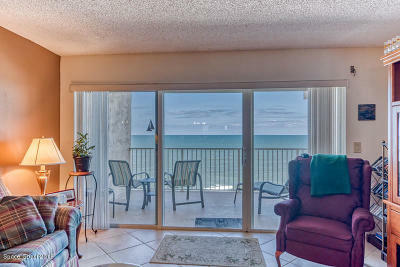 BREATHTAKING ''EFFECTIVE SIXTH FLOOR'' OCEAN VIEWS FROM THIS FANTASTIC FIFTH FLOOR UNIT! 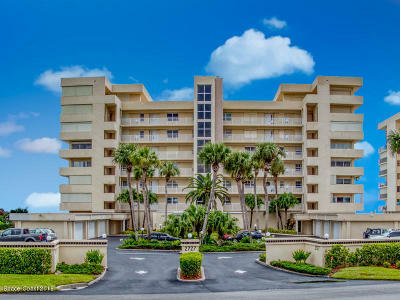 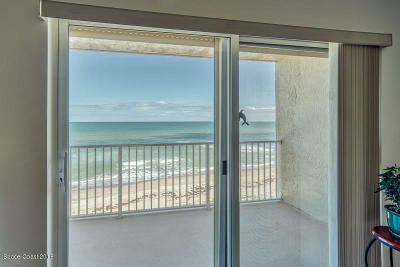 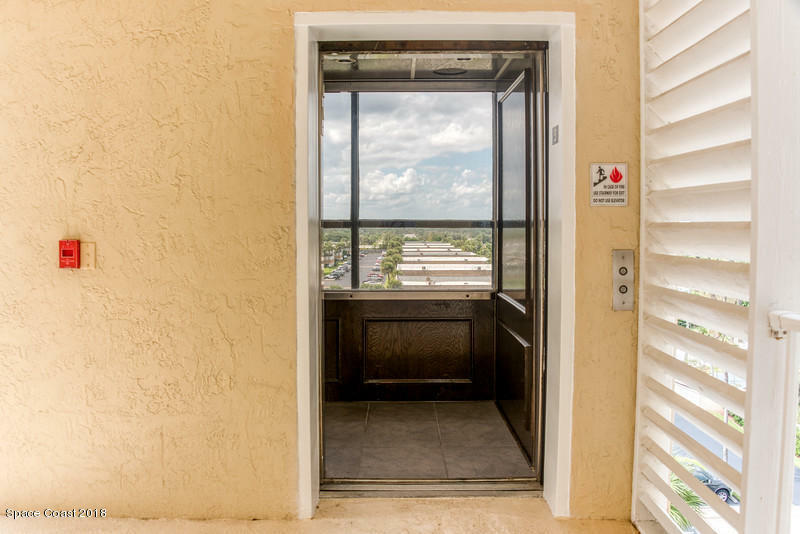 SPECTACULAR ''OCEAN SANDS'' CONDO WITH UNIQUE GLASS ELEVATOR IN A VERY CONVENIENT LOCATION! 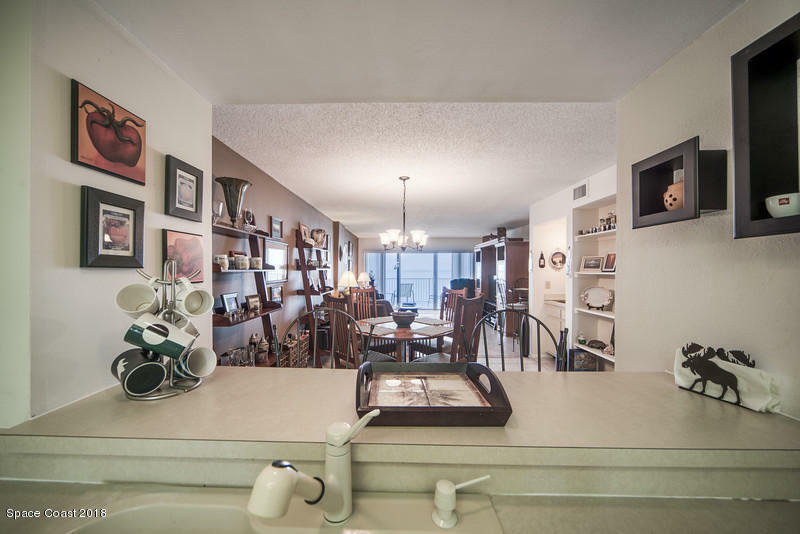 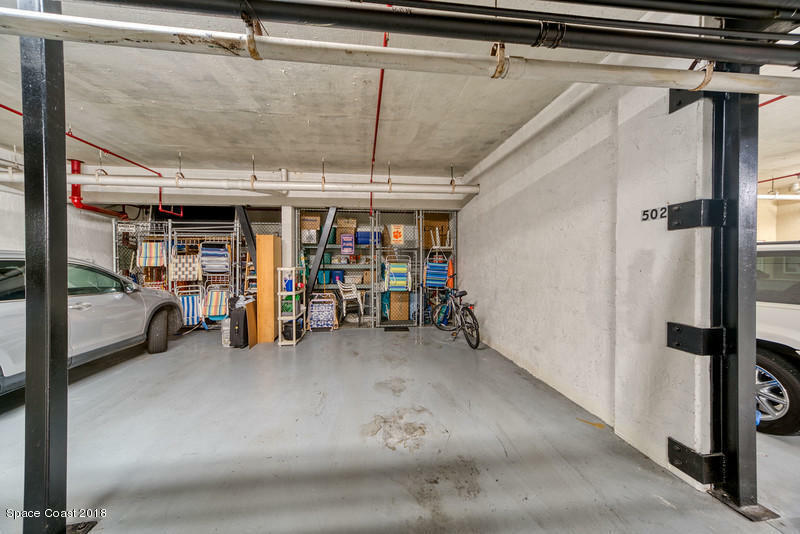 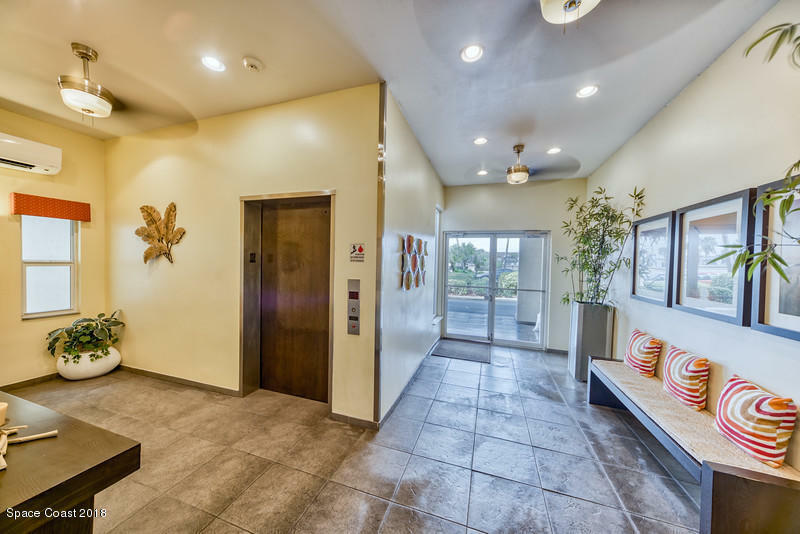 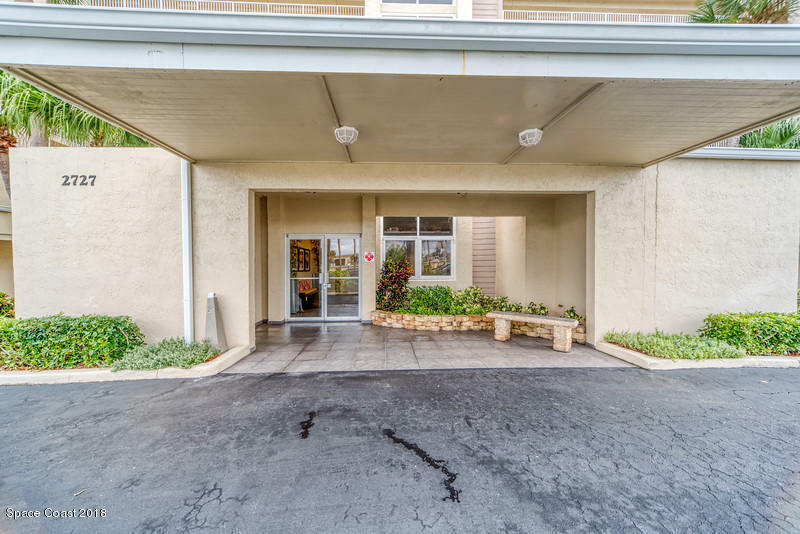 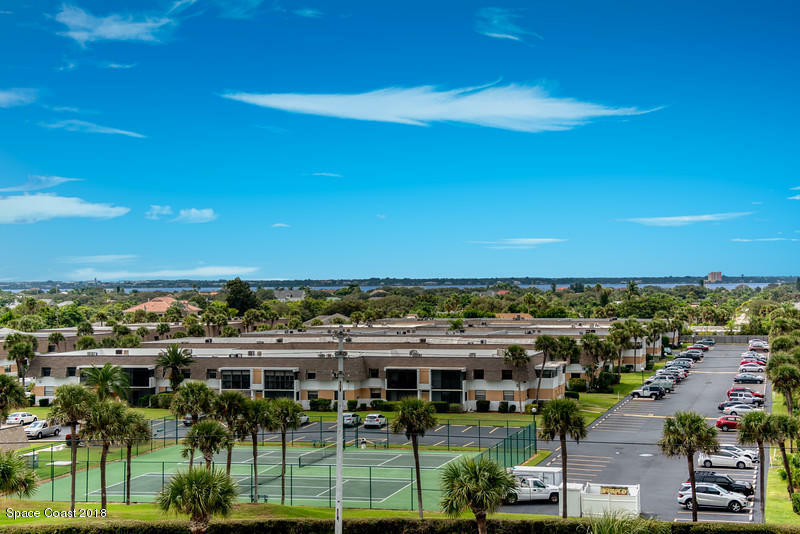 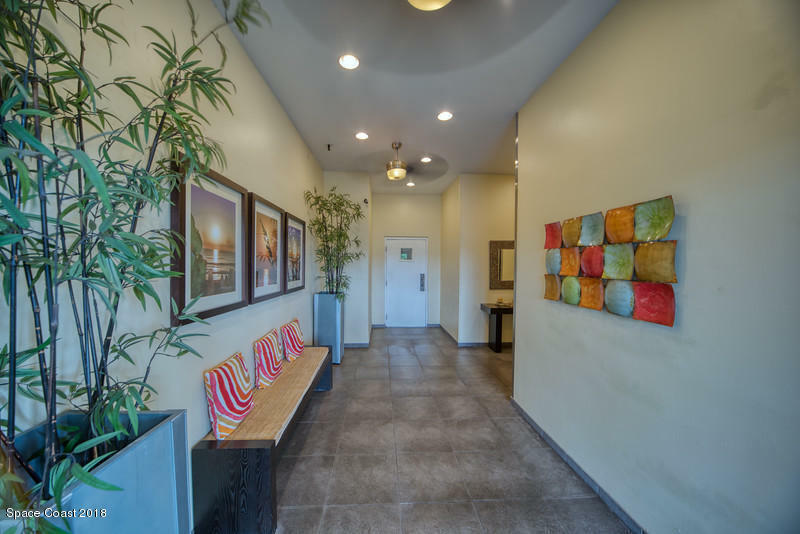 Well maintained & upgraded this unit is your ticket into one of the most sought after buildings in the area...only 30 units w/mostly owner occupied, low 525.00 monthly HOA & 1 under the building parking space w/huge storage area. New A/C system in 2018! 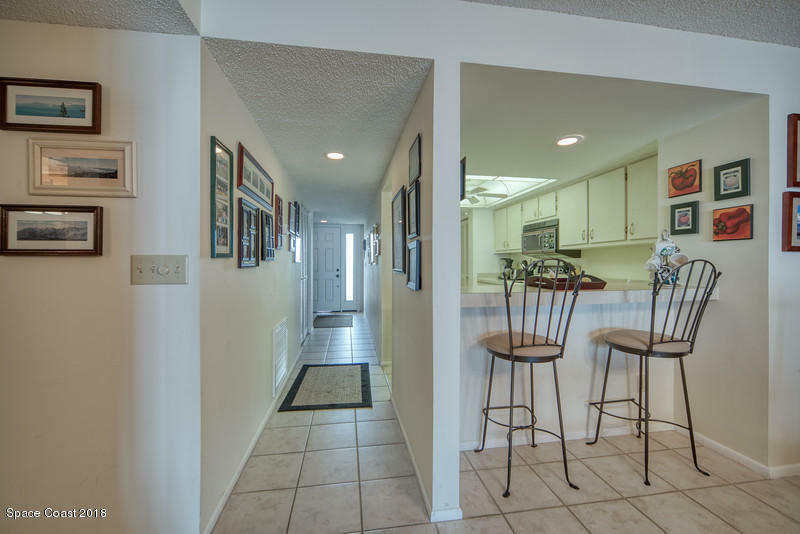 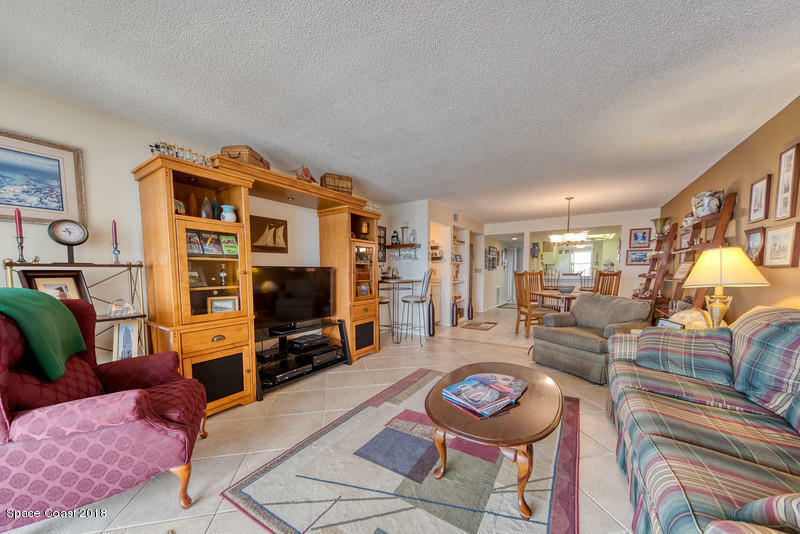 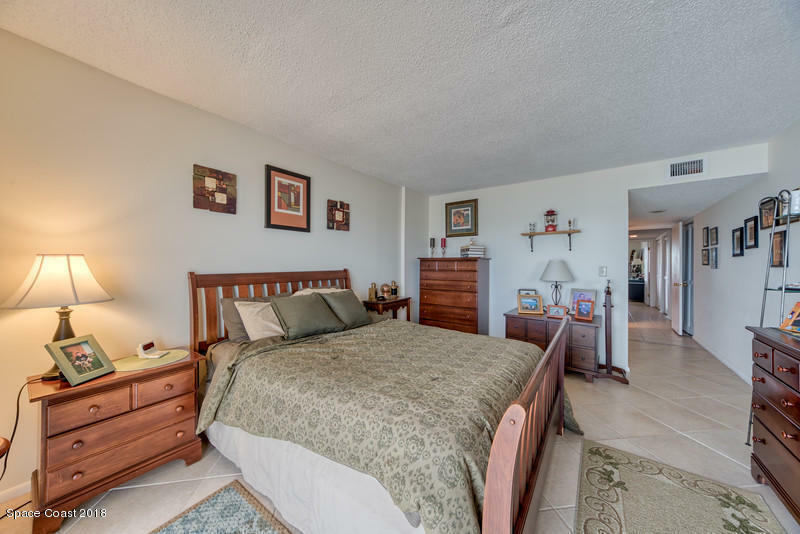 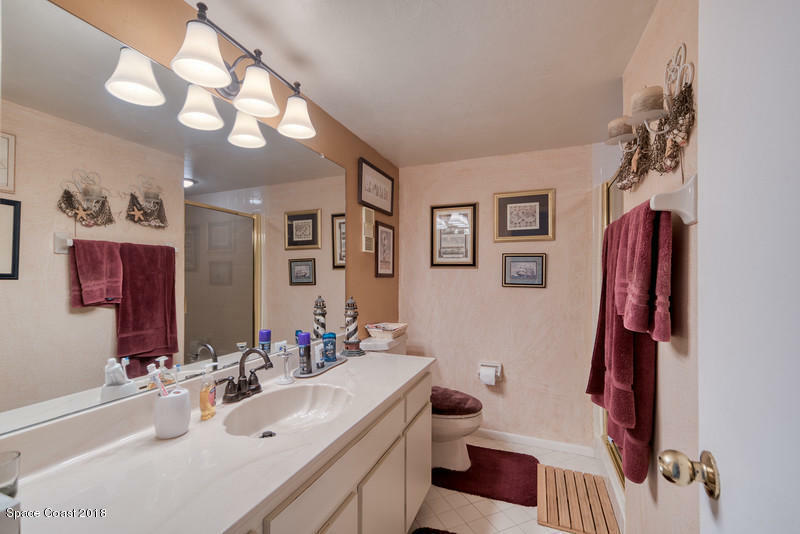 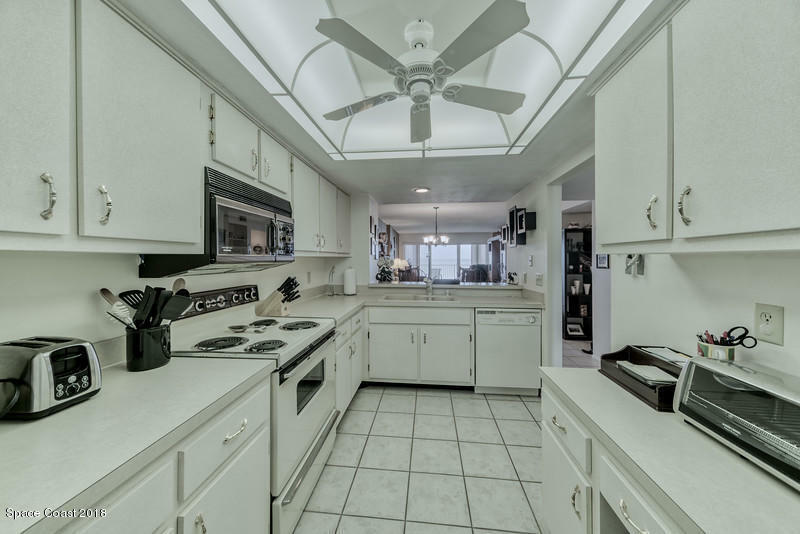 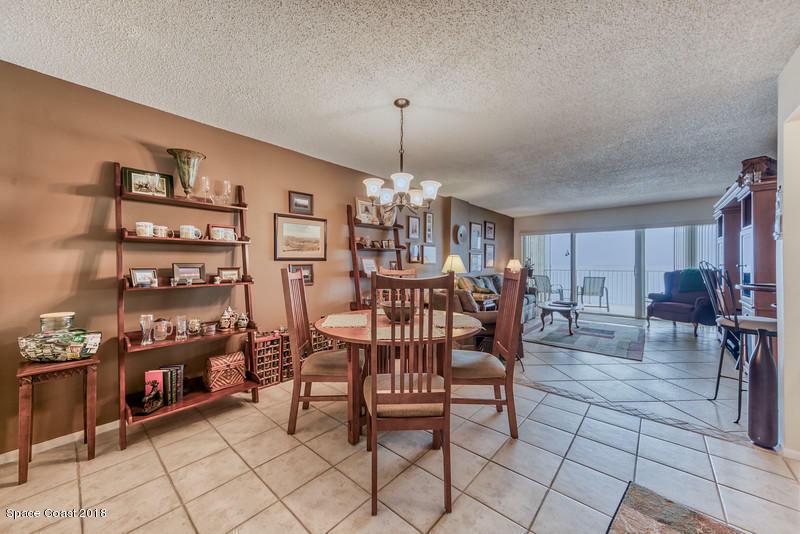 Water views are abundant & overpowering from most rooms INCLUDING KITCHEN ! 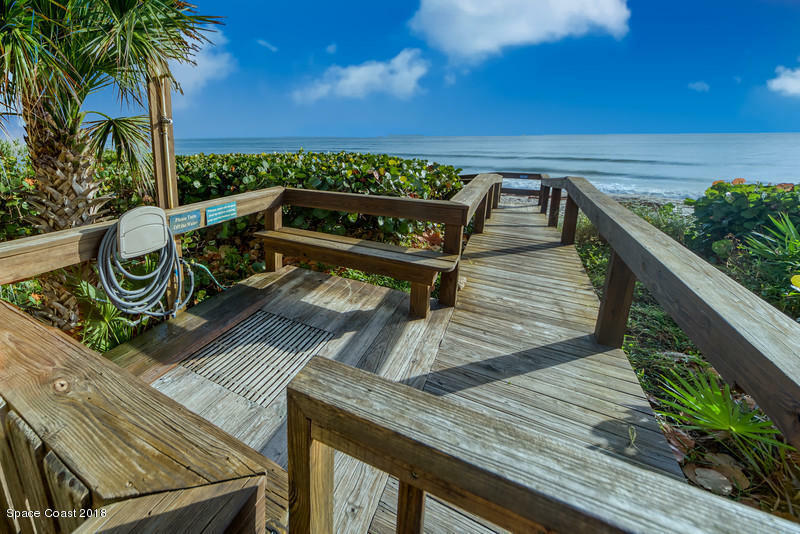 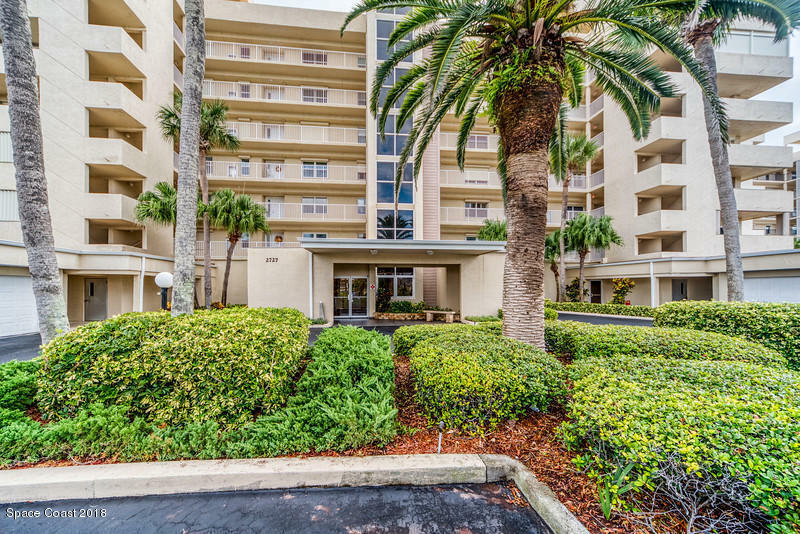 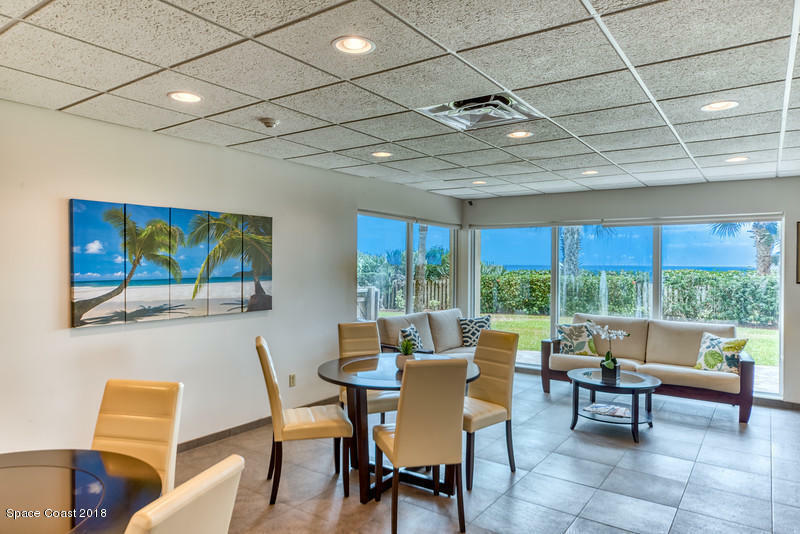 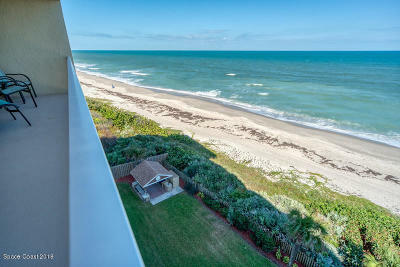 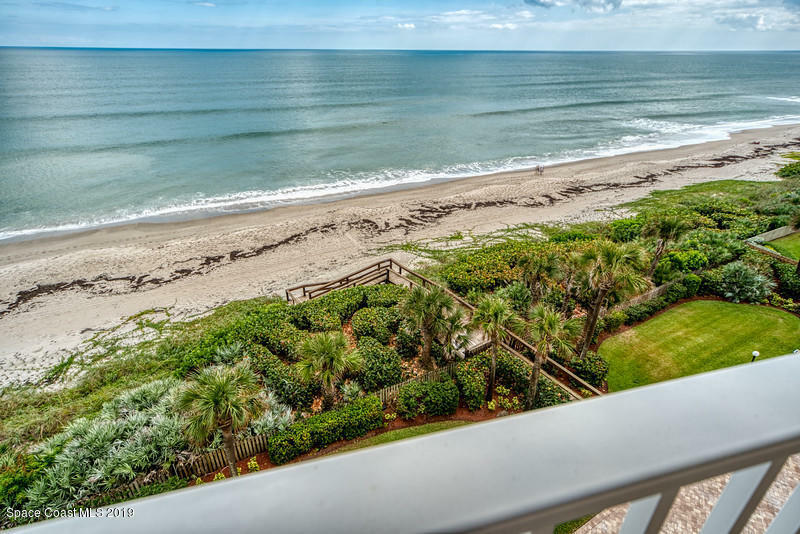 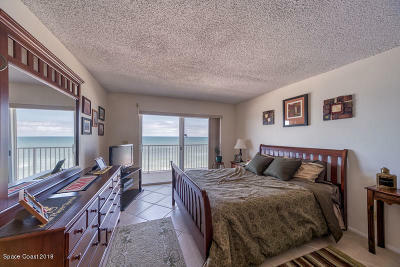 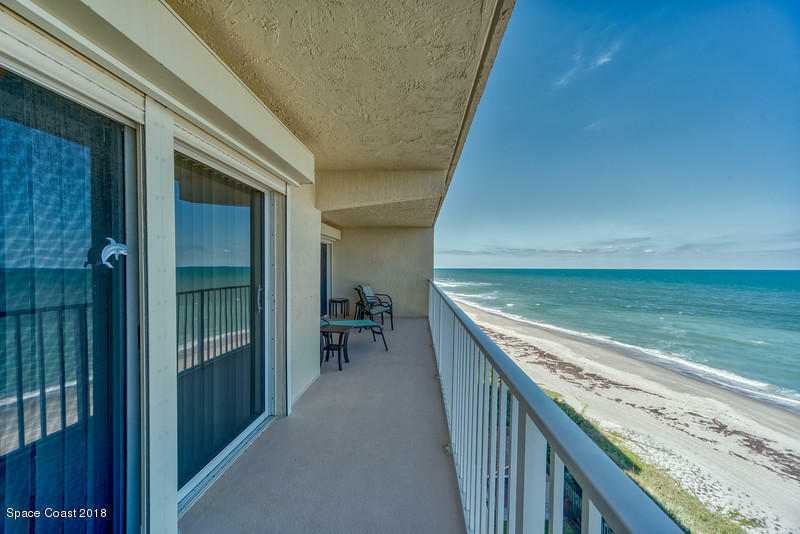 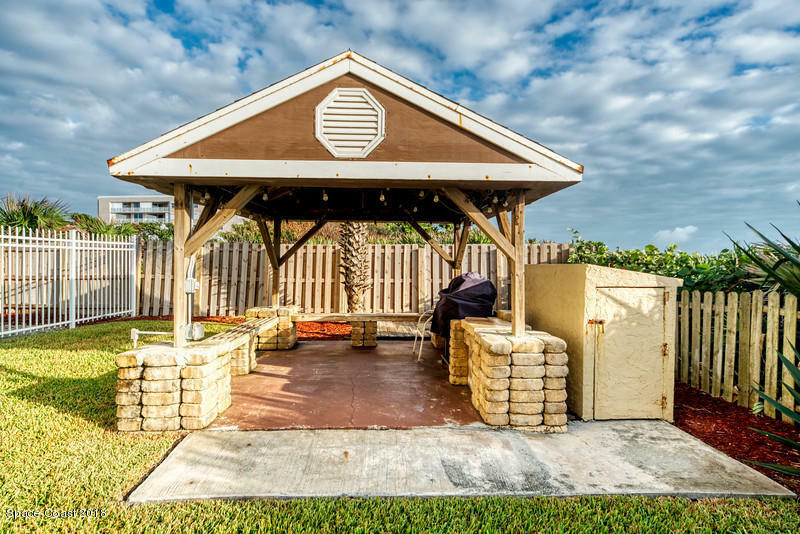 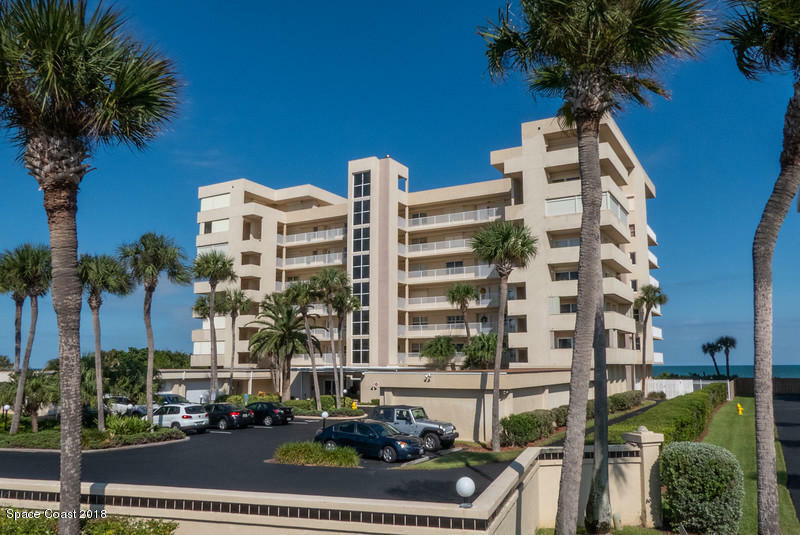 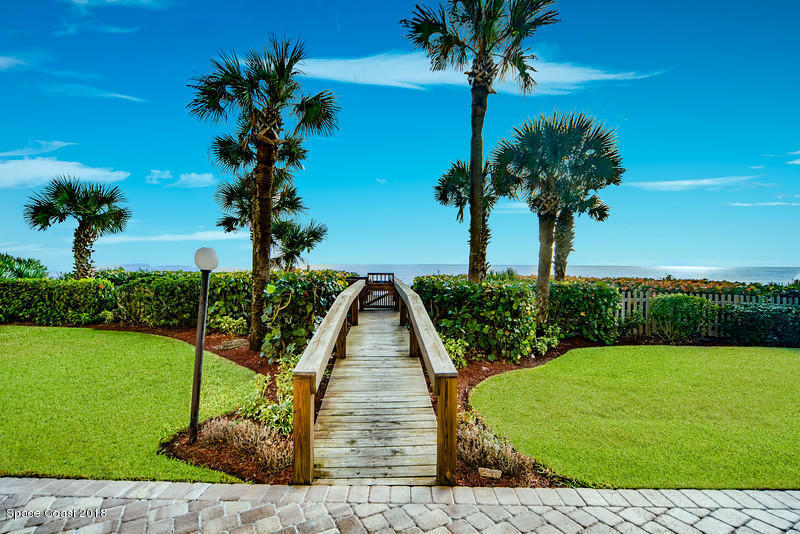 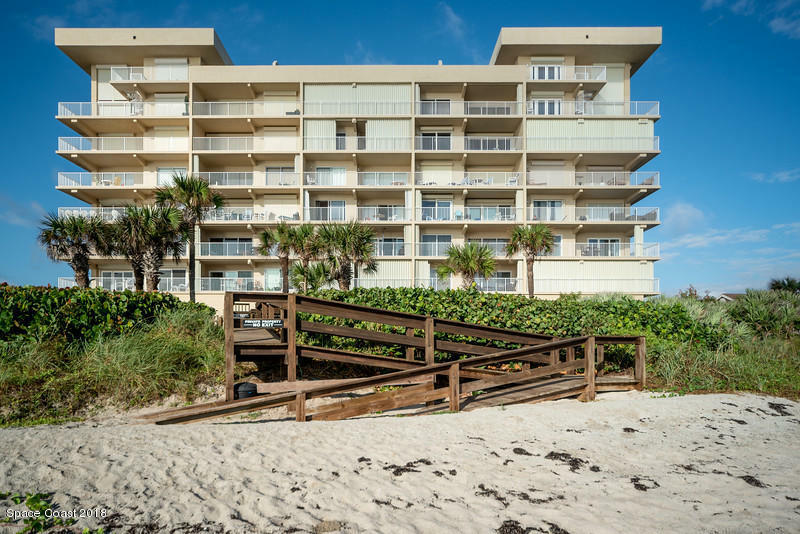 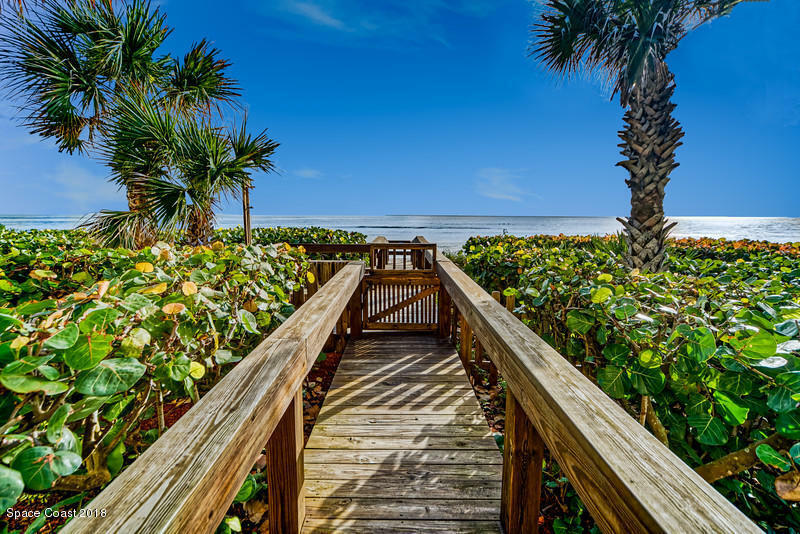 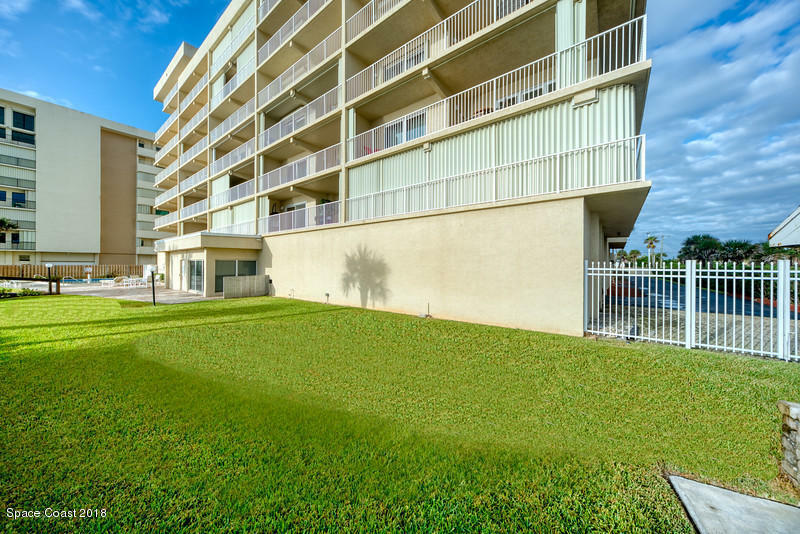 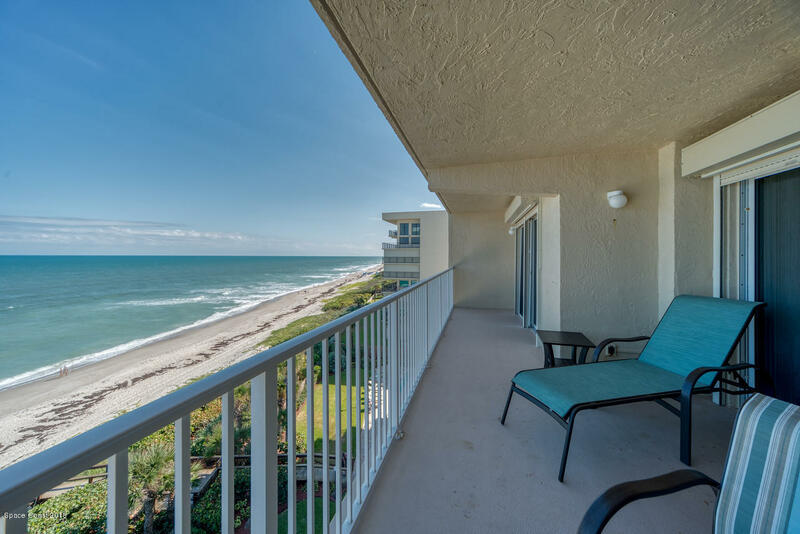 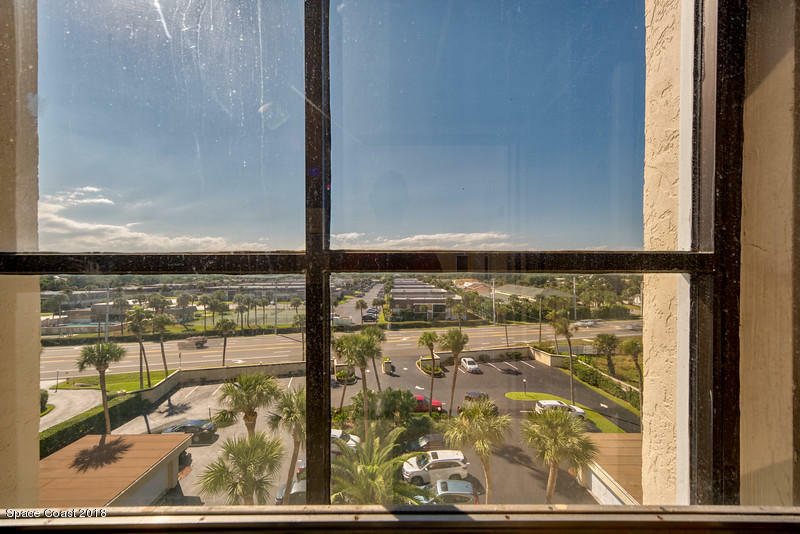 Relax on your private oceanfront balcony with ''up & down the coast'' ocean views or check out river views from your West balcony. 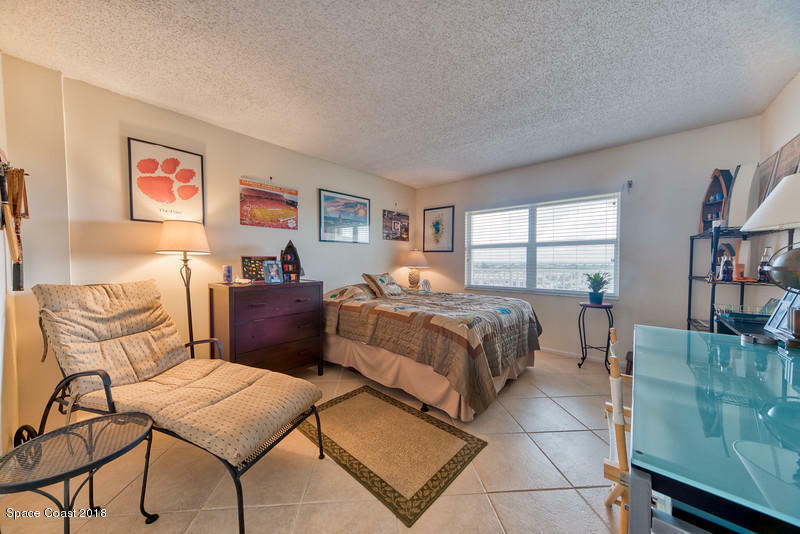 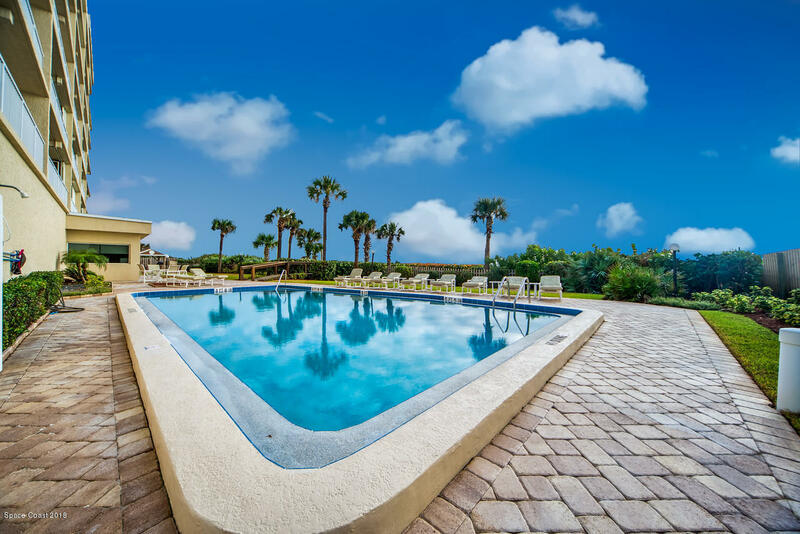 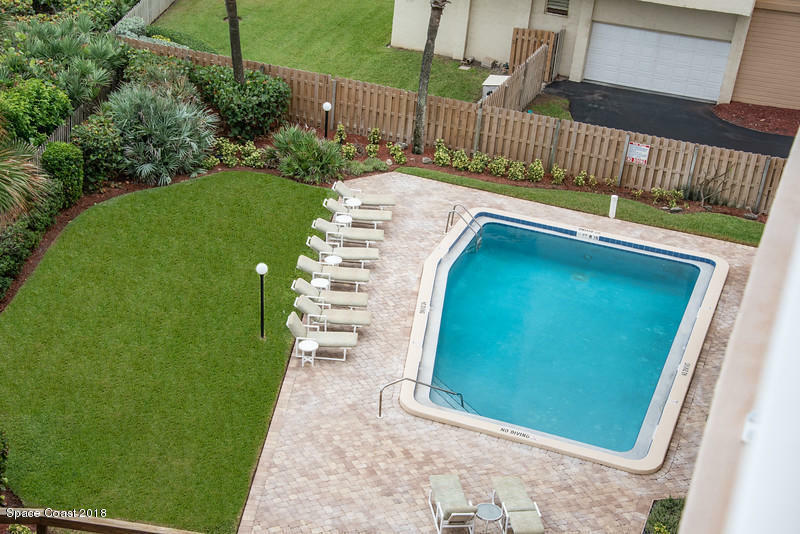 Go down & enjoy the community pool area w/private ocean crosswalk...LIVE LIFE LIKE YOUR ON VACATION!